As a leading e-waste collection and recycling service provider in New Jersey, Clean Green Electronic Recycling takes responsibility in diverting as much electronic waste from landfill and export as possible. Our electronic recycling services are fast and reliable from the time we collect your e-waste right from your door to recycling them using the environmentally safe procedures. Our electronic waste management experts will identify parts of your electronics which can be reused to cut down on your costs. We will also ensure that any data which may be still on your hard disks is securely wiped off. Convenient, Reliable Electronics Recycling For Businesses. 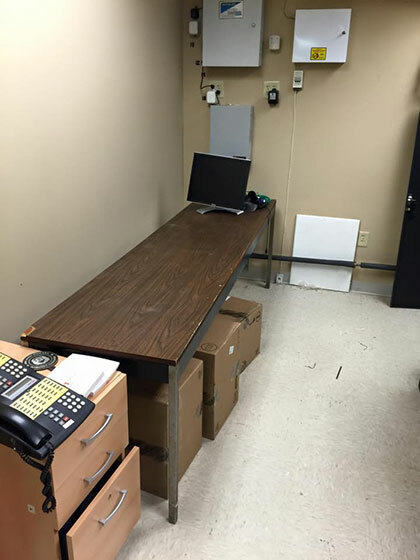 We help businesses dispose of electronics in a way that’s safe, environmentally responsible, and in compliance with government mandates for electronics recycling. We offer customizable electronics recycling services to meet your specific business needs. Managing waste costs money, but electronics recycling may help recoup some of that expense. At Clean Green, we have the expertise to help you recognize the resale potential of your old industrial equipment and the means to turn it into something of value again. The HIPAA Privacy Rules makes you responsible for keeping patient data private. 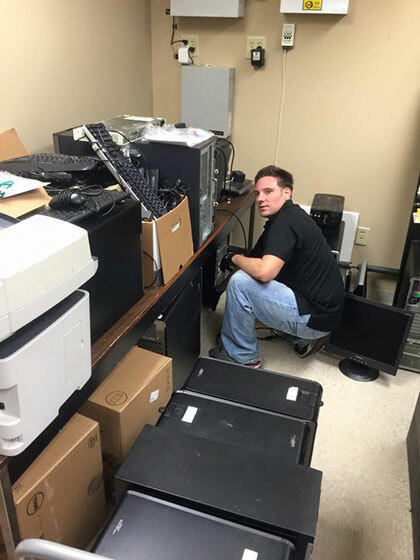 That means any time you get rid of old equipment you must be confident that the information contained on it doesn’t get into the wrong hands. When you use Clean Green to provide secure transportation and recycle your electronics, we make data security a top priority. We’ll help keep you HIPAA compliant and may be able to help you save money by reusing, recycling, or re-marketing your old equipment. 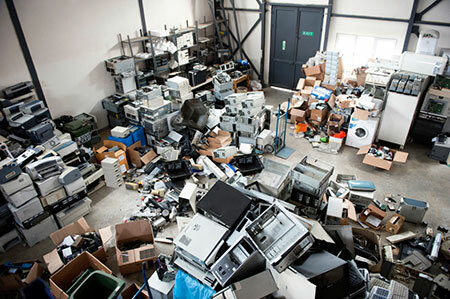 From office equipment that’s seen its day, to point-of-sale machines that are about to be retired, electronics you need to get rid of might actually make you a profit. Clean Green’s electronics recycling programs help identify the reuse and resale potential of retail equipment in order to provide you with an environmentally friendly solution that’s also financially attractive. Choosing the right electronics recycling company can mean the difference between compliance with state regulations and inadvertently breaking the law. Clean Green Electronic Recycling is a trusted, experienced provider of environmental waste management services. We know the electronics recycling laws and have the resources to help you meet them. We don’t just sell recycling; we sell peace of mind.